We are only four days away from our next show – “Cash and Cline”! 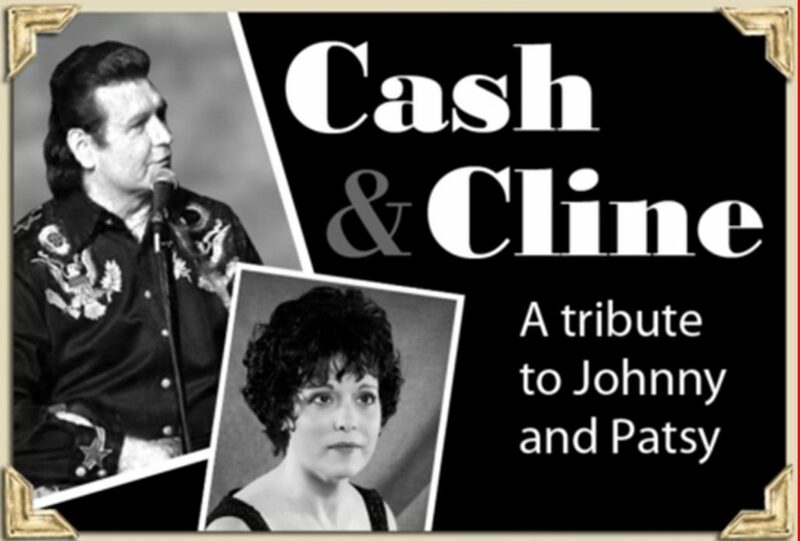 Come and enjoy the music of Terry Lee Goffee and Josie Waverly as they pay tribute to two of the best country music singers of all time – Johnny Cash and Patsy Cline. Sit back and enjoy their popular music of the 50’s and 60’s. So, break out your cowboy boots, denim jeans, and anything else country! Great seats are still available. Call the Box Office at 814-467-9070 between 10 am and 4 pm. Or, order online at your leisure by clicking on the BUY TICKETS TAB of this website, pick the “Cash and Cline” show, review the seating chart, pick your seats, and then pay for them with a debit/credit card. Don’t forget to print out your confirmation sheet and bring it with you to the show. Josie Waverly will take the stage first, performing all of Patsy Cline’s greatest hits, followed by Terry Lee as Johnny Cash. The show will wrap with the two performing together! Here are some samples of their past performances. THIS SHOW IS SPONSORED BY: JWF Industries, Eureka Coal Heritage Foundation, Harris Funeral Home, and WJAC TV.